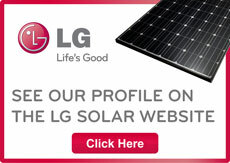 Looking for a great value written quote on a brand new solar power system? Call the team at Ecoelectric now! Have you been looking for ways to reduce your power bills? Perhaps you’ve been thinking about your carbon footprint? Or maybe you’re interested in the possibility of earning feed-in tariffs? No matter what the issue, if you’ve been considering solar power as a potential solution, chances are you’ve been shopping around for the best possible quotes. Confusingly enough, different companies provide quotes in different ways – some offer set packages, some give you basic prices and charge extra for add-ons, and some reseller companies charge a hefty referral fee on top of what the actual installer is charging! If you don’t want to get caught with hidden costs, it’s best to have solar quotes which are detailed, written out, and guaranteed. With Ecoelectric, that’s exactly what you’ll get! Our aim is to exceed the basic standards maintained by average solar companies in the area. When you contact us to get your quote, we take the time to look at every contributing factor from the position of your house, to the angle of your roof, to the available useable roof area. We will also carefully consider your current (and projected future) energy usage, as well as your budget. When we provide written solar quotes to our Brisbane based clients, everything from the main parts of the system, to the smaller components and labour costs, are included. That way, you know exactly what you’re getting, and there are no nasty surprises. It costs nothing to get in touch with the team at Ecoelectric – and we could end up helping you save thousands in energy costs! Call (07) 3376 6409 to get started.